A few days ago I discovered how much fun making photo collages with Pixlr.com was. 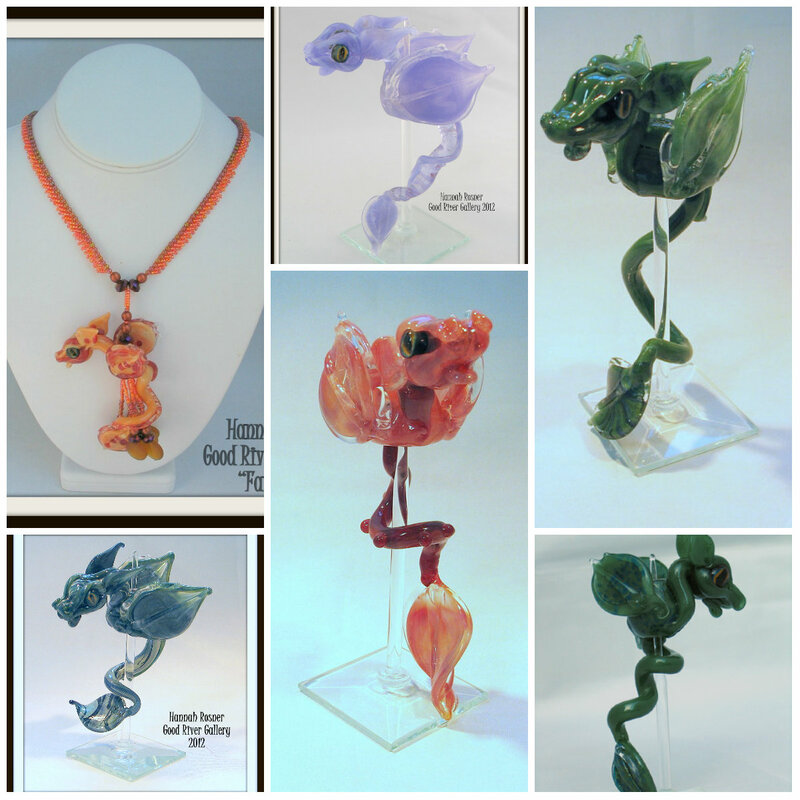 Here’s another collage – a bunch of my lampwork dragons. They’ve all sold out, but you can special order one! So… I just found an online program called Pixlr and it might be my favorite thing this week. I’m pretty sure my friend Val told me about it earlier, but my memory isn’t so great. It allows for a lot of the same tools as Photoshop, plus they have this handy collage program. The below collages took me something like 5 minutes each. 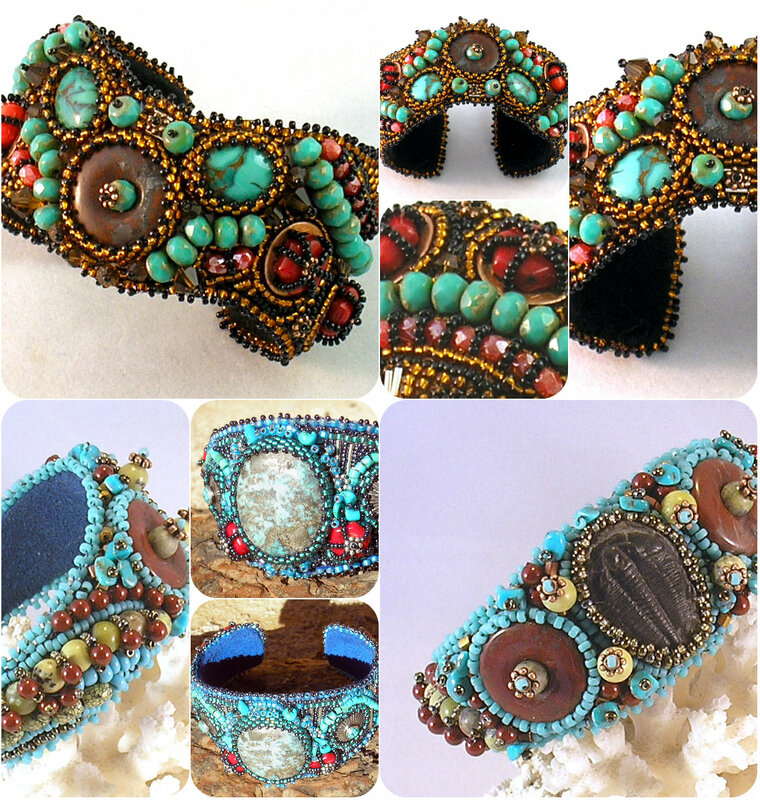 And here’s a set of beaded collars. The top right one was made for the Use The Muse Contest 3. 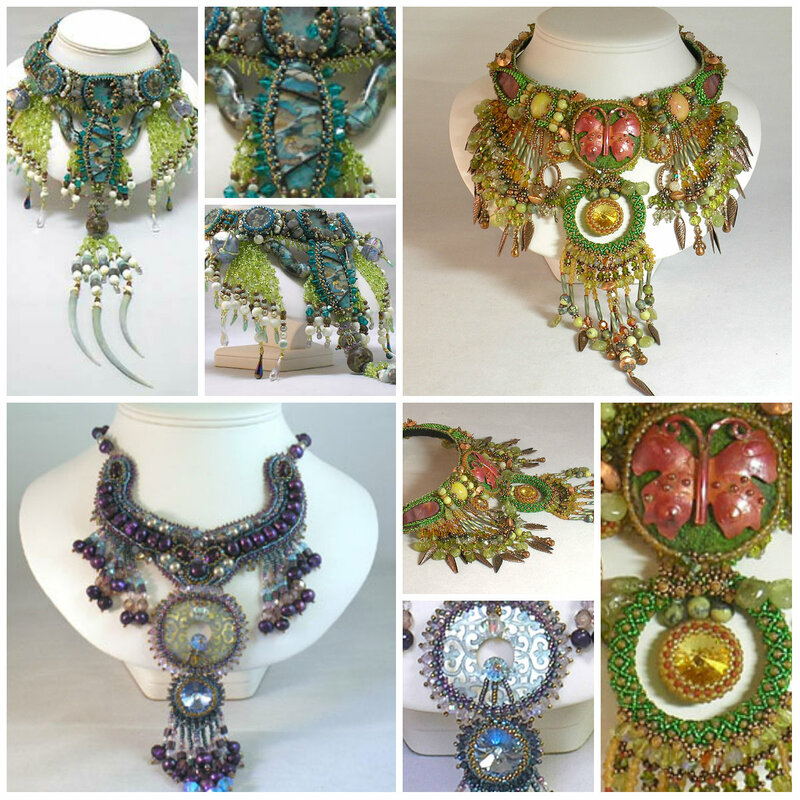 The top left won third place in the beads and jewelry category at the Vegas Glass Craft Expo 2011. 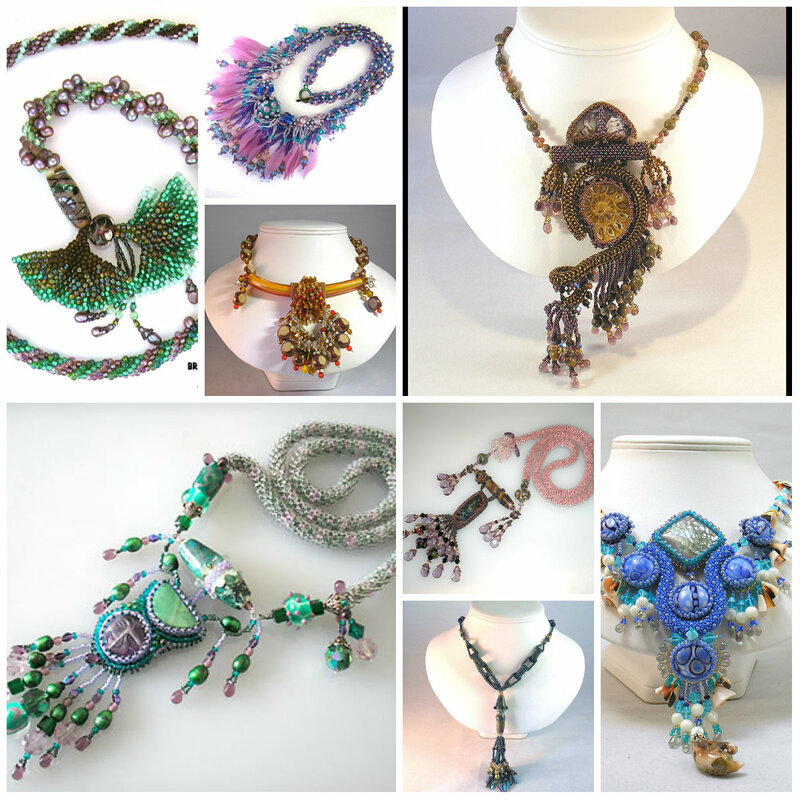 The bottom left won the Bead Embroidery Category for the use the Muse Contest 2. All of them are available for sale on my website. And finally, here’s a set of sold pieces of jewelry. I can make them to order if there’s something below you’d like. Since each is one of a kind, you’ll have to allow for variations, however.